Simon was graduated from City University of Hong Kong with a BA(Hons) in Creative Media. He has received the Rockschool Grade 8 Bass Guitar Certificate and has been teaching at Mike's Conservatory since 2008. He is a guitar (Bass,Classical and Electric), Ukulele and Drums teacher. He has learnt with Teddy Suen, Chan Kwok Wah, Fernando Carpio and Eric Mo. Simon has performed in Ginza shopping Mall and New Year Countdown Concert. 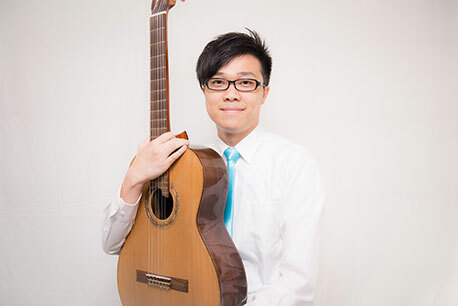 He has gained Blues Improvisation Competition 2014, 1st runner-up(Victoria Shanghai Academy).